Harmony Farm is located on a 280+ acre stewarded by the Sisters of Saint Dominic of Blauvelt. The farm, a not-for-profit entity, started as a small community garden and has grown to a small 10 acre farm. Highbridge Community Life Center, sponsored the farm since the early 1990s under the leadership of Sister Carole Keaney, OSU. The Sisters are grateful for all the vision and hard work of Highbridge Community Life Center and are excited that the commitment to local, fresh, affordable food will continues at Hamrony Farm. The farm has undergone many changes since those first days, and we are currently expanding our operation to provide high quality produce to our 75 member CSA program as well as other local customers through both on-farm sales and at local farmer’s markets. We are dedicated to creating an environmentally sustainable model of successful small-scale farming. We adhere to the principles and practices of both organic and biodynamic farming, treating the farm as a whole organism and promoting natural processes that facilitate the production of healthy food. The soil is the base of all life on the farm. By nurturing healthy soils and a balanced ecosystem, we can produce healthy plants with strong resistance to pest and disease problems, eliminating the need for chemical pest and disease controls that may pollute our environment and poison our bodies. 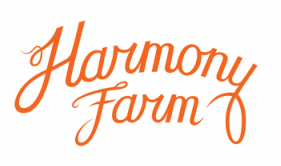 At Harmony Farm we also realize the importance of economic sustainability in successful small scale farming. We strive to provide our farmer with a living wage and deliver our produce to local families at reasonable prices. By adopting and developing low-input, efficient farming practices and investing in appropriate technology, we can enhance productivity while minimizing our environmental impact. By marketing our produce directly to families and individuals in the local area, we can eliminate mark-ups by middlemen and avoid the costs (not to mention the environmental impact) of transporting food back and forth across the country. Our Community Supported Agriculture (CSA) program aims to restore the connection between people, their food, and the land. Members and their families are always welcome at the farm and have the opportunity to see where their food comes from and how it is grown. We encourage their participation through a limited working share program, various volunteer opportunities throughout the season, and organized community events on the farm. We look forward to a successful and productive growing season this year!